ISLAMABAD, Oct 7 (APP): Minister for States and Frontier Regions (SAFRON) Lt Gen ® Abdul Qadir Baloch had a meeting with Chief Executive Officer of Afghanistan, Abdullah Abdullah, who arrived in Geneva to participate in the quadripartite meeting on Afghan refugees. They discussed the return of Afghan refugees, both registered and unregistered, in dignity and honour to Afghanistan, Foreign Office said in a statement issued here on Thursday. The Quadripartite Steering Committee on Afghan Refugees includes Afghanistan, Pakistan, Iran and the UNHCR. Abdullah Abdullah appreciated Pakistan’s generous hosting of Afghan refugees for the past four decades. He added that there was a clear decision by the Government of Afghanistan, that the Afghan refugees should return to their country and all efforts were being made for their sustainable resettlement in Afghanistan. He also appreciated Pakistan’s announcement of US dollars 500 million for Afghanistan at the recently concluded Brussels Conference. 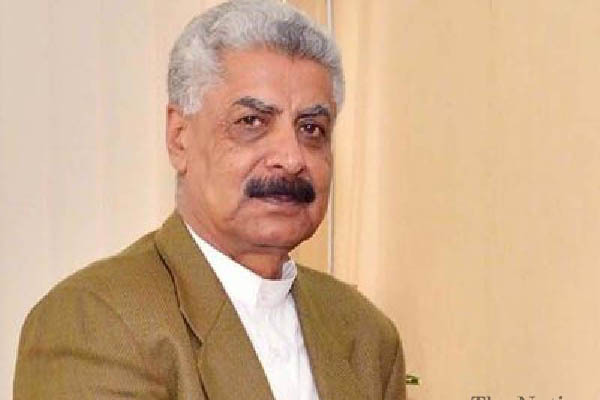 Minister Abdul Qadir Baloch, while referring to the decisions taken by the last tripartite meeting on refugees held in Pakistan, pointed out that Pakistan was faithfully implementing those decisions. “The Afghan refugees are our brothers and sisters and therefore we had a particular interest in their return to Afghanistan with dignity. We shall follow this principle in the return of Afghan refugees currently taking place,” he added. Both Abdullah Abdullah and Minister Abdul Qadir Baloch stressed the importance of close coordination between the two governments regarding the return of Afghan refugees.